You and your best mates will spend 1.5 or 2.5 hours becoming intimate with a 1.5lb piece of whirling wood and metal as you learn, practice, play axe throwing games, and then finally square off toe to toe in a group tournament that will result in the crowning of an Axe Throwing Champion. Our Axe Throwing sessions are run by trained Axeperts who will show you how to safely handle an axe and chuck it with accuracy while giving you tips on how to capture that illustrious Bullseye! $35 per person for our 2.5 hour adventure/class (Minimum of 8 tickets per range). Private Bookings only with a maximum of 12 people per range. 2.5 hour adventures include: 30 minute axe throwing lesson and practice, 60 minutes of fun axe throwing games guided by your Axepert, and a 60 minute double elimination tournament to crown the axe throwing Lumber Lord or Lumber Lady! $25 per person for our 1.5 hour walk in adventure/class. Public bookings for 1-12 people. (You will be grouped with strangers for up to 12 people per range). 1.5 hour adventures include: 30 minute axe throwing lesson and practice and 60 minutes of fun axe throwing games guided by your Axepert. This is an indoor urban axe throwing facility with air conditioning! Escape the Texas heat! Please arrive 15 minutes prior to your start time to check in, use the facilities and prepare to show that bullseye who’s boss! If you are late it will eat into your group’s allotted time. Every time someone is late a blue ox sheds a tear. Groups of 8-12 people. Book one of our regularly scheduled 2.5 hour adventures by purchasing a minimum of 8 tickets. Additional tickets for a total of up to 12 people can be purchased on site using a credit card. Groups of 1-12 people. Book one of our regularly scheduled public 1.5 hour adventures. You will be grouped with up to 12 total people per range as space permits. This does mean that you may be throwing with strangers. To reserve a private range book all 12 tickets. Regularly scheduled times available Wed, Thur & Sun. Fri & Sat availability will be posted at least 12 hours in advance and is subject to change based upon availability. Groups of 13 people or more: Contact us to book parties of 13 or more. NOT FOR FIRST TIME THROWERS. BASIC INSTRUCTION WILL NOT BE PROVIDED. Groups of 1-6 people. Our well trained staff of Axeperts will work with a small group of up to 6 people on technique, precision, and consistency. If you would like to book during a time not currently listed for your private event contact us to check for availability. We are available by appointment 7 days a week as availability allows. Email info@houstonaxe.com or call us at 832-390-2937. Because inside of you there is a tomahawk tossing ninja that has been dying to be let loose since you were 12 years old! And because it is so much fun!! Indoor Axe Throwing has been around in Canada for 10 years and is a popular pastime for our friendly neighbors up North. Learning the sport of Axe Throwing in a safe and controlled environment from an experienced instructor is a great way to be introduced to the sport. The thrill of victory and rush of adrenaline you get when you sink a bullseye and hear your friends screaming your name will be etched into your brain from eternity! Absolutely! We currently offer pre-packaged snacks and candy for sale. If you’re craving a hearty meal, please feel free to bring your own food or have it delivered. We do have a water fountain. You’ll have to provide your own cups, utensils etc. You can consume your food & drinks at any time you’re not currently throwing, so you can chow down in between turns. This includes beer and wine! See below for our alcohol policy. Yes, we have a bar on site selling beer, wine, mead and non-alcoholic beverages. We do not allow any outside beverages on site. Absolutely no hard liquor is allowed on the premises. I know what you are thinking… beer and axes? Let it be known that if you are intoxicated you will not be permitted into the facility. If you become intoxicated at the facility you will not be permitted into the Axe Throwing Arena. Participants are able to pay online via our website for any axe throwing time slots provided on a first come, first serve basis. If you do not pre-purchase your tickets we cannot guarantee space for your group. We can take payment on site via credit card. We do not take cash payments at this time. Once you’ve made payment and received your confirmation email you are all set for that time slot. DO I NEED A RESERVATION/CAN I WALK IN? Tickets are reserved on a first come, first serve basis when purchased directly on our website. We have set times for you to sign up to participate. It’s very similar to going to the movies, you can walk in but will have to wait for the next available time, if there is space available. Please purchase your tickets in advance to reserve your space. We do not reserve spots without payment. Closed toe shoes are a must! Be comfortable and wear non-restricting clothes. Anyone wearing flannel will receive a crisp high five from your instructor. We do have a limited amount of shoes you can rent for $3 that includes a pair of socks you get to keep. Absolutely! You will be with an instructor at all times. The first half hour of your experience is spent learning the safety rules and procedures of how to handle an axe. With proper instruction, practice and by following our guided procedures, you will be able to safely throw an axe during your session. All sales are final. If you would like to reschedule, email us at info@houstonaxe.com with your order number and we may be able to reschedule you. 72+ hours notice: Reschedule to any available time slot. 72-24 hours notice: Rescheduling fee of $10 per ticket. Less than 24 hours notice/No show: No refunds, no reschedules. CAN MY KIDS PARTICIPATE/WHAT IS THE MINIMUM AGE TO THROW AXES? The minimum age to participate without a parent/guardian is 18. We are really really bad at guessing ages. All of us were fired from the carnival for assuming everyone is 10 years old. So, don’t forget your I.D. or you won’t be able to release your inner lumberjack. Children ages 12+ can participate with a parent/guardian if they are with a parent/guardian at all times. Children under 12 years of age can be on site if they are supervised at all times and kept out of the axe throwing arena. There is a separate waiver that the adult will have to fill out on site to authorize their children to participate. If these guidelines are not followed we will send you home without a refund. CAN I BRING MY OWN AXES AND/OR EQUIPMENT? We provide all of the equipment that you will need. All equipment meets World Axe Throwing League guidelines and specifications. 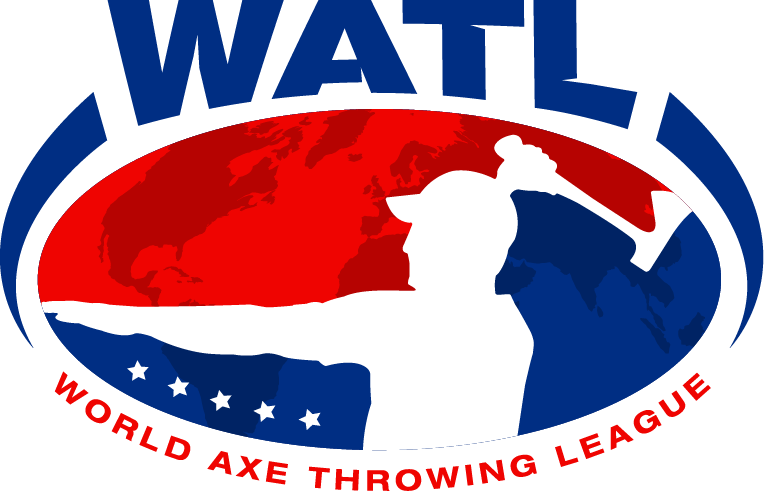 If you have axes that you would like to throw that meet World Axe Throwing League specifications you can bring them and we will inspect them on site. We also have specialty and larger axes that can be rented for $5-$10. We also have paper targets for purchase for $1-$5 you can throw at during your session. You can also bring your own paper based targets to throw at. Some examples of previous items include pinatas, photos of world leaders, ex boyfriend/girlfriends, friends, enemies, zombies and more. If you’re looking to do something special or have a crazy idea, email us to ask and we will see if we can accommodate. DO YOU HAVE MEETING/HANG OUT SPACE? Yes we do! We have a lobby and some space for you to gather during your axe throwing adventure. Email us at info@houstonaxe.com regarding private events and space reservations. CAN I THROW AN AXE BY MYSELF OR WITH A DATE? All public events may have up to 12 people per range. For public sessions, guests will not have a private throwing area or guaranteed solo activity time and will participate with others who sign up for the same time slot. All of our 1.5 hour Adventures/Classes are great for dates and are available on Wednesday, Thursday & Sunday regularly. Friday and Saturday Adventures will be posted at least 12 hour prior based on availability. If you would like private lessons please contact us for more information or purchase a full range. CAN I JUST WATCH MY FRIENDS?/DO I HAVE TO THROW?/DO YOU ALLOW SPECTATORS? Why would you want to come to an axe throwing facility and not throw axes?! We have limited space available for groups so we do not allow spectators. Exceptions can be made for one person who is joining the participating group to watch a child under 12 years of age. Email us at info@houstonaxe.com with additional questions. IS YOUR SPACE WHEELCHAIR ACCESSIBLE?/CAN I THROW WITH AN INJURY? Yes it is! Our facility is fully ADA compliant and we’ve had people throw in walking casts, in wheelchairs, with shoulder injuries etc Our coaches will do their best to get everyone throwing like an axepert.